Subaru and its participating retailers will have given nearly $90 million in nine years. 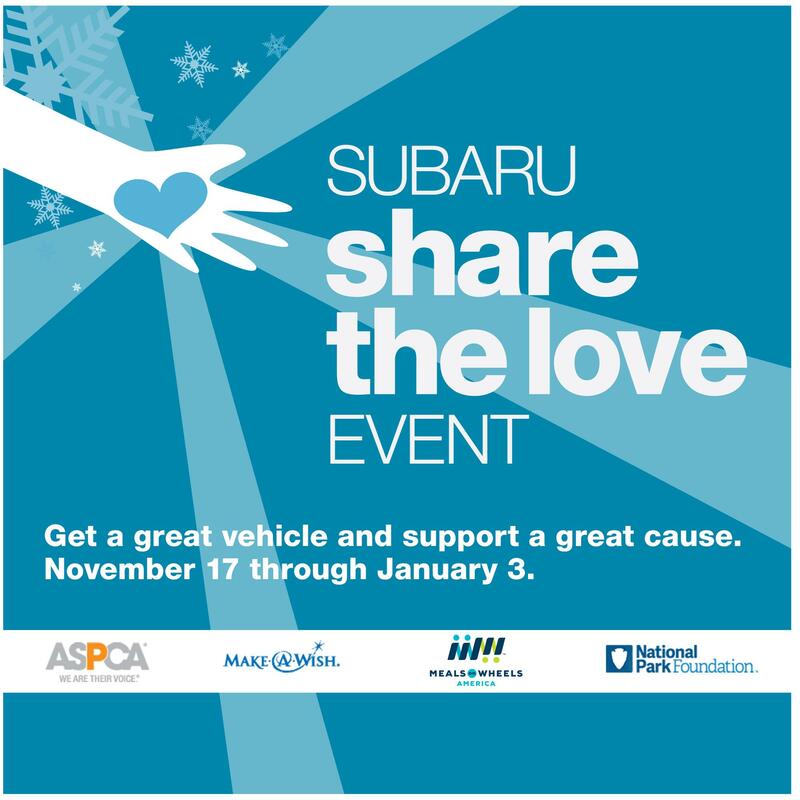 *Subaru will donate $250 for every new Subaru vehicle sold or leased from November 17th, 2016, through January 3, 2017, to four national charities designated by the purchaser or lessee. Preapproved Hometown Charities may be selected for donation depending on retailer participation. Certain participating retailers will make an additional donation to the Hometown charities selected. Purchasers/lessees must make their charity designations by January 31, 2017. the four national charities will receive a guaranteed minimum donation of $250,000 each. See your local Subaru retailer for details, or visit subaru.com/share. All donations made by Subaru of America, inc.